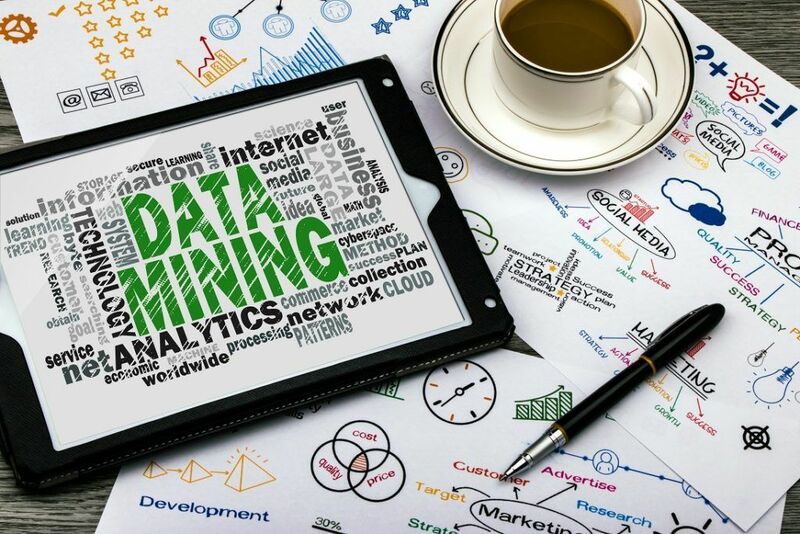 What is a Data Mining? Data mining is the process of uncovering patterns and finding anomalies and relationships in large datasets that can be used to make predictions about future trends. The main purpose of data mining is extracting valuable information from available data. Data mining is considered an interdisciplinary field that joins the techniques of computer science and statisticsBasic Statistics Concepts for FinanceA solid understanding of statistics is crucially important in helping us better understand finance. Moreover, statistics concepts can help investors monitor. Note that the term “data mining” is a misnomer. It is primarily concerned with discovering patterns and anomalies within datasets, but it is not related to the extraction of the data itself. Data mining offers many applications in business. For example, the establishment of proper data (mining) processes can help a company to decrease its costs, increase revenuesRevenueRevenue is the value of all sales of goods and services recognized by a company in a period. Revenue (also revered to as Sales, Turnover, or Income) forms, or derive insights from the behavior and practices of its customers. Certainly, it plays a vital role in the business decision-making process nowadays. Data mining is also actively utilized in finance. For instance, relevant techniques allow users to determine and assess the factors that influence the price fluctuations of financial securitiesMarketable SecuritiesMarketable securities are unrestricted short-term financial instruments that are issued either for equity securities or for debt securities of a publicly listed company. The issuing company creates these instruments for the express purpose of raising funds to further finance business activities and expansion.. The field is rapidly evolving. New data emerges at enormously fast speeds while technological advancements allow for more efficient ways to solve existing problems. In addition, developments in the areas of artificial intelligence and machine learning provide new paths to the precision and efficiency in the field. Define the problem: Determine the scope of the business problem and objectives of the data exploration project. Explore the data: The step includes the exploration and collection of data that will help solve the stated business problem. Prepare the data: Clean and organize collected data to prepare it for the further modelingWhat is Financial ModelingFinancial modeling is performed in Excel to forecast a company's financial performance. Overview of what is financial modeling, how & why to build a model. A 3 statement model links income statement, balance sheet, and cash flow statement. More advanced types of financial models are built for valuation, plannnig, and procedures. Modeling: Create the model using data mining techniques that will help solve the stated problem. Interpretation and evaluation of results: Draw conclusions from the data model and assess its validity. Translate the results into a business decision. Detection of anomalies: Identifying unusual values in a dataset. Dependency modeling: Discovering existing relationships within a dataset. It frequently involves regression analysis. Clustering: Identifying structures (clusters) in unstructured data. Classification: Generalizing the known structure and applying it to the data.